The Tar-Ox fast road compound is suitable for road applications and gives a far superior braking force over a standard replacement pad. 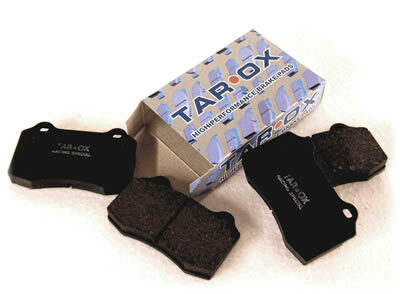 Tar-Ox pads work from cold and are able to withstand temperatures of up to 600 Degrees Centigrade. We only have 1 of these sets of pads in stock, this great offer will not be repeated!